Wow, this one has reached for a top place on my 2012 Best-Of! Grazie mille, amici! I wonder how this comes and it surely warms my heart - I can notice a little renaissance, many new ambitiious progressive rock bands are rising from this country, which belongs to my favourite places in Europe. IL GIARDINO ONIRICO - The Garden Of Dreams or The Onirical Garden maybe - so what, this name is prog per se of course. Some references to other Italian bands come into my mind when listening - Marco Marini's native rants are opening the door to the five songs and this sometimes reminds me of Delirio Sonoro. I also hear PFM's playfulness, the heavy melodics of Dropshard ... anyway, 'Perigeo' definitely is something unique, to make it clear. On B.S.D (whatsoever this means) they ultimately prove song writing qualities - nearly a rollercoaster in style this song nevertheless is accessible miraculously - heavy metal riffs easily compete with mellow spacey excursions or classical acoustic guitar interludes, Elisabetta Marchetti shines due to her lovely soprano voice. Second one Utopia Planitia represents the ultimate highlight. Completely different, while being more consistent ... yeah, nearly hypnotic, this is a very melodic tune. Featuring compelling keyboards and guitar it all gradually cultivates, ascends over the course - woaaaww, wonderful! Futhermore the band grooves a lot, more mellow here, more heavy there - alternated by some spheric parts. 'Perigeo' offers a convincing mixture of Art Rock, Prog Metal, ambient impressions and symphonic/classic ingredients - an excellent multi-variant (they call it schizophrenic!?) album. Riverside and Porcupine Tree fans (especially those who like their earlier times) should pe pleased per se, I'm sure. At this time, the album is only available if you directly contact the band. But Lizard Records just have announced to make a contract. A highly recommended issue. Il Giardino Onirico (the name means 'the oneiric garden') began life in the province of Viterbo in 2008. The original nucleus was formed by four musicians coming from different musical experiences and with different backgrounds: Emanuele 'Vastitas' Telli (keyboards), Stefano Avigliana (guitar), Ettore Mazzarini (bass) and Massimo Moscatelli (drums). 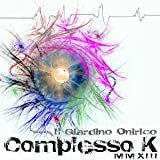 In 2009 Dariush Hakim (keyboards, effects) joined the band and with this line up Il Giardino Onirico self-released a first demo EP featuring a long suite titled 'Il complesso K'. Later the line up was completed by Marco Marini, poet, painter and photographer who provided the lyrics, the narrative vocals and the art cover for the first full length album of the band, 'Perigeo', that was released in 2012, after a long studio work. According to the band, their aim was to create a 'fleeting, schizophrenic fantasy' and conjure up an oneiric dimension where the listener could get lost in a world of dreams and nightmares. In my opinion the result of their efforts is very good! Every track is introduced by a short narrative part that could recall Pholas Dactylus but after awhile the music takes over and all that you have to do is close your eyes and set your imagination free. 'There are more and more things around me / Or maybe it's just me who can perceive a changed reality / I can see me transformed, I'm changed / I recognize every lost moment, every faded control...'. I suppose that the title of the opener 'B.S.D.' is an acronym for Brain Stem Death (in the booklet there is no explanation), a clinical syndrome defined by the absence of reflexes with pathways through the brain stem in a deeply comatose, ventilator-dependent, patient. Identification of this state carries a very grave prognosis for survival, cessation of heartbeat often occurring within a few days although it may continue for weeks or even months if intensive support is maintained... The music flows with many changes in mood and rhythm, there are some heavy, aggressive sections and some amazing dreamy passages characterized by the beautiful soprano voice of the guest Elisabetta Marchetti, here used just as an instrument. 'Wait a minute and then you'll discover things that can't be described...'. The following track, 'Utopia Planitia', takes you on a long trip through time and space... 'I get a bit closer and I know that I'm alone now / I get rid of discomfort and I change again... I can't realize how much time I have erased / Every resistance vanishes / I set off on a journey that leads me to the limits of reality...'. The pace is slow, the atmosphere is tense and full of expectations, dark organ rides and spacey electric guitar solos make you cross the doors of perception and you can fly over the dark side of the moon... By the way, Utopia Planitia is the name of the largest recognized impact basin on Mars and in the solar system and is the Martian region where the Viking 2 lander touched down on September 3, 1976. 'Agosto' (August) is brighter, the rhythm rises again but the journey is still full of surprises... 'I frequently try but it's stronger than me / I'm biding my time in ambush to destroy the falsity of those gruesome acts that project misery on me...'. Next come the disquieting, restless 'Amigdala' evoking greedy joy and criminal fears, incurable sadness and bully vengeance. The amygdalae are almond-shaped groups of nuclei located deep within the medial temporal lobes of the brain that perform a primary role in the processing of memory and emotional reactions... 'At first it seems unimportant / Then, suddenly it becomes powerful...'. The ethereal title track, 'Perigeo' (Perigee), concludes the album. Back to earth! 'The scents of paradise evaporate into the night / Your shadow mirrors on me as if it was not real / A perverse game creeps along the streets that lead nowhere...'. Here the music every now and again recall Alan Parsons Project and the beautiful voice of Elisabetta Marchetti comes back. Well, the perigee is the closest point to the centre of the earth in a satellite's elliptical path and once the satellite has reached that point it leaves again. You left on a long journey and you can't come back, everything has changed, you're living now in a never ending dream and you have lost the touch with reality... 'It had to happen, sooner or later / I woke up and I couldn't recognize myself any more...'. Now you are ready for another spin! You can listen to the complete album on YouTube, so have a try! If you like it, you can purchase the physical copy directly from the band. This is another unheralded surprise from beautiful Rome, a perennial hotbed of progressive music still dishing out some noteworthy music. Il Giardino Onirico is a set of talented musicians who are obviously schooled in traditional RPI but infusing harsher elements that give the arrangements power, depth and magnificence. The lovely artwork signals 5 long tracks that open with some narration, courtesy of poet and painter Marco Marini , all anchored in solid rhythmic foundations , with bassist Ettore Mazzarini really carving the groove nicely along, giving the necessary propulsion for the soloists to shine. There are colliding contrasts of serene and stormy phrasings, as if dreams turn suddenly into nightmares, inducing an almost tangible sense of psychedelic dysfunction or even paranoia. What makes the grade so refreshing is the constant attention to little details, a musical Monet of thrilling mosaics, best witnessed by the opener "BSD", where a soprano female voice scours deep into the soul, clashing with some sensational pastoral serenity and then overcome by torrents of raging passion. Dual keyboardists are an RPI hallmark and here both Emmanuele Telli and Dario Hakim provide a massive array of ivory-tinged orchestrations that give cinematographic scope to all the themes. The mood settles into the dreamy groove of the cosmic "Utopia Planitia", a deliberate extended bass-fueled jam that rolls along inexorably, caressed by profound organ forays, ornate e-piano sprinklings and psychotic guitar shrieks, recalling a laughing madcap, once long ago. The Floydisms are delightful in their intricacies, with obvious reverence and extraordinary delivery. Bassist Mazzarini shines once again with a lovely bass solo that blooms divine, a classic highlight track to be sure, recalling mid-period Porcupine Tree. "Agosto" begins with a moody bass excursion amid swirling synthesizer clouds, a stinging guitar adornment that explodes into a full-bodied melody, windswept and summery like a fine August day. Halfway through, the atmosphere turns molten hot, depth-charge onslaught that hints at Riverside, a thriving, ruthless and profligate bulldozer of sound and fury, psychotic and threatening. Wow! "Amigdala" scratches the brain insidiously, hesitance and flimsy at first glance, until a solid beat kicks in (drummer Massimo Moscatelli is awesome) amid waves of deranged synthesized sonic washes, clanging guitars and gritty soloing from Stefano Avigliana, recalling Roller-era Goblin (a rather lofty comparison). Brainy, disciplined and yet chaotic, the complexity is simply exhilarating, these ragazzi can surely play, Wooh! The surreal title track concludes this masterful debut, an 11 minute+ ride into faraway sonic horizons, the crystalline guitar scouring the advancing stars with bristling ecstasy, the howling soprano returning briefly to shatter the silence and introduce the harsher double bass drum attack. The celestial axe solo takes this into the higher echelons of class, a masterful slice of technical emotion. The delicate orchestral veneer is perhaps clichéd with crashing wave effects but its highly appropriate here, giving this fine recording a firm sense of timelessness. Darn, I love Rome so much, such a stunning city! A terrific and surely difficult album to find, I suggest to contact Emmanuele directly (I sent him a note in Italian and he responded in English, crafty devil! ), this is a keeper! Il Giardino Onirico meaning The Onirical Garden a young progressive rock band from Italy who managing to capture my attention with their debute name Perigeo. Well, this is impressime in many parts, I like a lot what I've heared here, to me is like a combination of spacey prog mid tempo passages a la Eloy with fascinating keyboards with here and there some prog metal elements added, but in the end this is not a prog metal at all. All album is elaborated, quite complicated in arrangements, all is instrumental, minus some spoken words in italian at the beggining of the pieces. The best pieces to me is Utopia Planitia, man this is excellent and high class prog, the guitar and keyboards are awesome at best, the rest are also solid, but this tune in particular is impressive. 5 long elaborated pieces , where each musician know to handle the instruments to create something valueble in today prog scene. I say that every serious prog rock listner must check this band and album, belive me worth every second, and above all the overall sound and arrangements are quite original, har task to achive today.. 4 stars easy and recommended, solid, tight and elaborated. Give Caesar what belongs to Ceasar: this album is professionnal with a capital P. The solos, the keyboards, the moods are carefully crafted and thoughful. 5 songs, all connected with segments in Italian, creating more mystery around the record. I like some of the atmospheres a la Eloy in the second track, but the whole album is touching many sectors, one of them could be Pink Floydish guitars. For the likers of instrumental albums, this is solid material. Easy to get into with a good book, easy to like also since the melodies are plenty. Going from metal to 'meditating' rock, this record has a lot to offer for the likers of this, that and the other. The speech which introduces the first song is about somebody affected by a "Bipolar Spectrum Disorder" (This is the meaning of B.S.D.) which is a mood disorder with tendency to depression and sometimes schizophrenia. It's characterized by frequent changes of mood and the way the hard guitar of the first minute fades into the soprano vocals then into a jazzy mood is probably a symptom of what the authors are trying to transmit. However, what first impressed me when I heard it for the first time was the floydian guitar at about minute 5 which is followed by a very heavy section of guitar, drums and keyboard. This track then goes into a melodic part and comes back to the operatic vocals which reprise the initial theme but on a more spacey base. The final fadeout doesn't sound like a cut. It's a proper final. Speech again and we are on Mars! "Another change and will begin the journey which will lead me to the borders of reality" Spacey, isn't it? The first minutes of this track remind me of ELOY, in particular Ocean for the general mood of the song. I don't need many words to describe this excellent track. Think to ELOY of Oeans and the PINK FLOYD of the mid 70s with some modernity more so to remind also to PORCUPINE TREE....is the genre clear? well, this is a very good track in that genre. By the way, Utopia Planitia is where the Viking 2 Probe landed on Mars in the 70s. This strange journey continues with a specific "time" instead of a "place". From Utopia Planitia to "Agosto"(August). This third speech is about "a life spent vomiting mediocre thoughts" and "trying to resist but attacking as a predator"...a keyboard layer and a melody played by a fretless bass. When the guitar enters we are between DAVID GILMOUR and VANGELIS. Unfortunately it doesn't proceed in this way as when the drums start it's a 90s kind of things, but if you like The Division Bell this track is surely not bad even if not my fav in the album. When it drastically change at minute 6 becoming heavier and rocking it's another story. 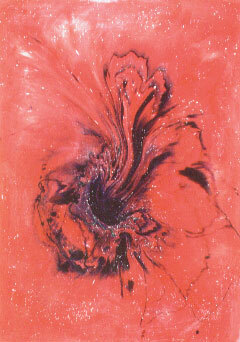 OZRIC TENTACLES as reference. "Amigdala" (Almond in Latin) is the site of the brain which seems to manage the emotions. Darkness, Death, Sadness, Revenge...this is what the speech is about. The music starts calm,like the beginning of a nightmare. ALso this track has a very Floydian incipi, but with some important differences: Keyboard sounds are closer to TANGERINE DREAM of the 80s/90s than to Floyds, the signature is odd and in some points it could be called "dark ambient". After minute 6, before an interesting signature change there's a moment of relative quietness on which I can imagine Fish singing, and effectively the unusual signature which follows has a GENESIS flavor, in particular the guitar sounds close to STEVE HACKETT (The Air Conditioned NIghtmare comes to my mind). "It was due to happen:waking up and not recognizing myself anymore" On those words begins the closeing track, the album's best in my opinion which I could synthesize as a mixture of ELOY and TANGERINE DREAM of the 80s with a touch of early MARILLION. It's curious that I don't find words for the tracks that I prefer. Just a mention to the sopraco who on this track is back and I think fits perfectly with the music. A lovely album that I have compared to Eloy's Oceans but not so "dated". It's not derivative. The bands that I have mentioned are only to give an idea of what I have heard. The journey of Italians Il Giardino Onirico begins in September 2008 in Civita Castellana, near Rome, with their formation by keyboardist Emanuele Telli, guitarist Stefano Avigliana, bassist Ettore Mazzarini and drummer Massimo Moscatelli, all having different musical backgrounds.They were joined in 2009 by Dario Hakim, who was responsible for the band's sound effects and ambiances.They recorded the demo ''Complesso K'' in 2010, immediately followed by the arrival of poet and painter Marco Marini, who gave the band an extra dimension with his expressive narrations.July 2012 finds the band completing the debut ''Perigeo'', received and officially released a few months later by the Italian Prog label Lizard. The name of the group is pretty ethereal, but do not expect a walk in dreamy gardens by Il Giardino Onirico, neither you will find a testimony of Italian Prog in ''Perigeo''.What you get with this album is instant, fairly complex and ultra-powerful Heavy Prog with spacey overtones and different variations, split in five long tracks, where the only vocals appearing are Marini's unique narration parts and some female choirs.However ''Perigeo'' it is not only about striking grooves and virtuosic solos.Sure, there are lots of extreme, passionate, guitar-driven moods with often an almost DREAM THEATER vibe and punchy rhythmic lines characteristic of the genre's fundamentals, but there are lot of things going on in here...like the long, trippy instrumentals with a sound crossing the borders of OZRIC TENTACLES and QUANTUM FANTAY, featuring nice organ moves and extended synth lines...or the deep, cinematic, strongly orchestral, VANGELIS-like Electronic explorations with Hakim's great work on effects and loops.Fans of more melodic textures won't be dissapointed either.Moments of ''Perigeo'' are surrounded by beautiful and sensitive electric solos or laid-back synth-based themes with an emotional aura.This could end up characterized as a Fusion album in fact, as Il Giardino Onirico's debut contains a diverse, instrumental Progressive Rock, starting from typical heavy tunes and ending up in a mix of spacey landscapes, symphonic arrangements and acoustic crescendos. Great band and great debut.Very atmospheric still powerful music for lovers of intense and deep instrumental adventures.Strongly recommended...3.5 stars. Italian band IL GIARDINO ONIRICO (IGO hereinafter) was formed in 2008, initially as a four-man unit, but fairly soon expanding to the six-man strong ensemble they are today. Following an initial self-released production, "Complesso K" from 2010, the band signed to the Italian label Lizard Records, which released their official debut album "Perigeo" in 2012. IGO comes across as a fairly eclectic band, able to and with the talents to explore multiple styles with an expert hand, and impressively so by incorporating multiple styles into each and every compositions. As harder edged sequences either bordering on or residing safely within the progressive metal realm are a recurring feature, a certain affection for this kind of music is needed to be able to enjoy this album, and a taste for bands like Porcupine Tree wouldn't be amiss either. If you can subscribe to this, and suspect you'll enjoy a band that may venture everywhere from jazz to cosmic-tinged ambient sections as well, "Perigeo" is a production you probably should spend some time getting familiar with. 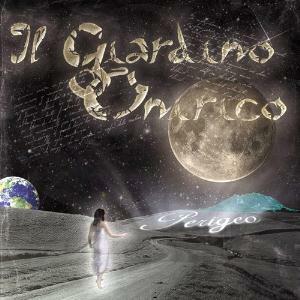 Post a review of IL GIARDINO ONIRICO "Perigeo"